The Small Business Innovation Research program of the National Institute of Standards and Technology is seeking technology development proposals for advanced manufacturing, climate change and clean energy, cybersecurity, healthcare and bioscience. NIST said Wednesday it will award grants of up to $100,000 for research projects on the identified fields of study as part of phase 1, which seeks to determine the project’s feasibility and performance. The solicitation lists 15 technologies categorized under each of the fields of study, as well as indicates an additional opportunity for licensing NIST-developed technologies for the commercial market. The agency said it will accept proposals through May 15. 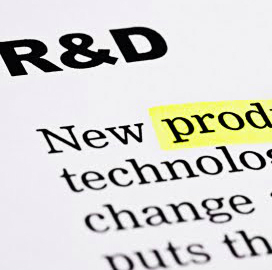 NIST SBIR aims to foster private-sector innovation, particularly among small or disadvantaged businesses, to meet the research and development needs of the government and commercialize them for public use.